The weather conspired against me for the three week stretch between Feb 25 and March 18. We spent the March 4-5 weekend shopping for and buying a new vehicle, a 2017 Subaru Forester. This will be very useful for my upcoming Okanagan birding tour in April. Here' a couple of backyard birds from February. 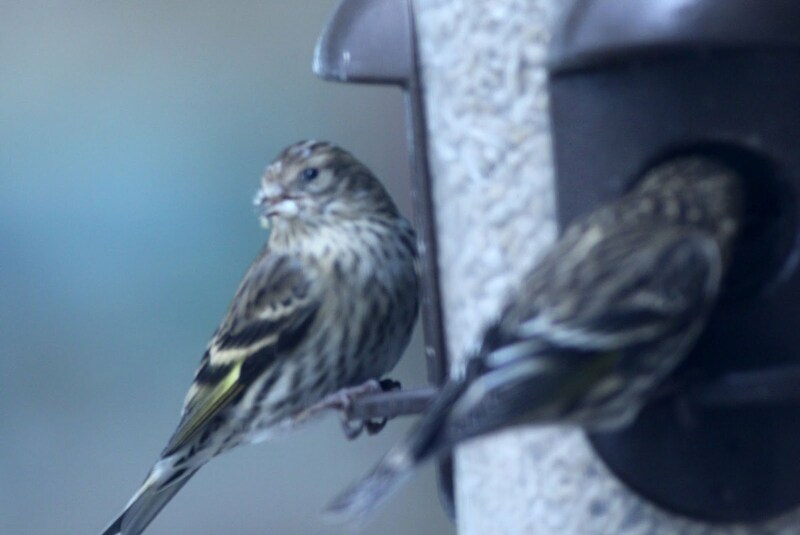 The first is a Pine Siskin taken through a dirty window. They've been here for the last month and are eating bird seed at an unbelievable rate. This is Bird #69, a bit out of order from the previous post. 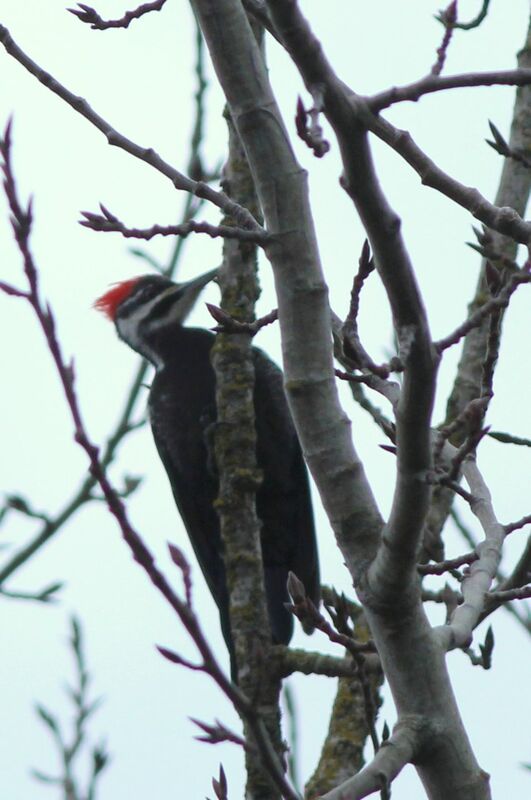 When I got home from my outing on February 25th, I was greeted by the call of a Pileated Woodpecker. I located it high in a bare tree in the back yard. 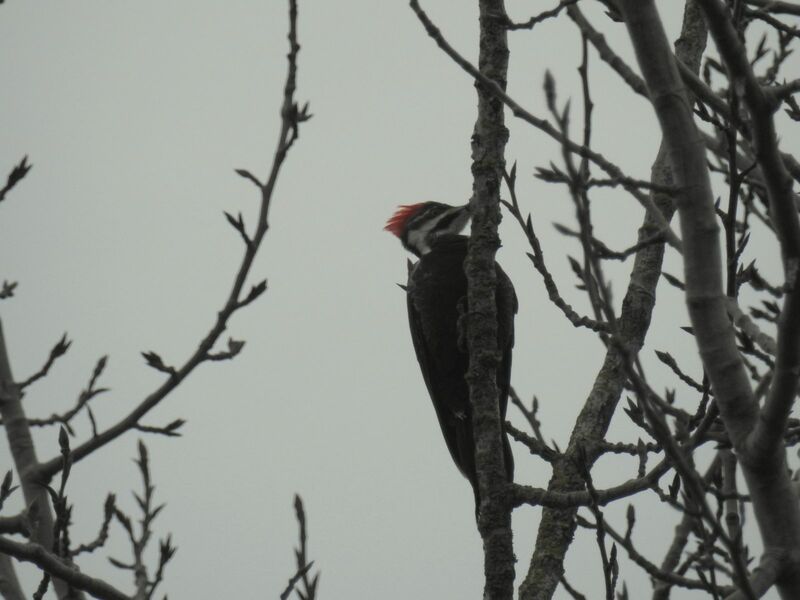 I'd seen one earlier in the year in Burns Bog, but these photos are better than the one I took on that day.